What is a buying consortium? Top reasons we hear from people who think they don’t need us! I have it all under control! Doesn’t it make more business sense to focus all your attention on improving and growing your business, rather than wondering if milk from one supplier is cheaper than another? The world is constantly changing and you have to be focused to keep up. Businesses like you can open up a world of opportunities by being exposed to ideas and free help from people on the outside in the form of purchasing consortiums. We have a unique perspective on the markets that you may not have time to devote energy to. We have the relationships with the suppliers and have the time to make sure you are getting the best prices. This is our job after all! I am very persuasive so I don’t need any help. Being a tough negotiator is definitely a benefit. But no matter how tough and persuasive you are, it is difficult to improve your negotiating position if your company isn’t buying enough of a certain product or understands fully what product will work best. By joining us, you have the buying power of millions in all areas of supply. From dairy, grocery and frozen to furniture, care products and housekeeping. You are going to be accessing prices that maybe you could have only dreamed of. We on average save members 15% a year! Think what you could spend that on! We are a large organisation; we have a huge influence when it comes to our prices. Yes, large companies can have influence on suppliers. However it really only occurs in the areas where they are buying a lot of products or have a deep understanding of the product they are buying. Someone running a tea shop knows all about tea, cake and all other yummy things. But, do they know where to get the best price for the cleaning products, toilet rolls or even the paper used in the office? This is where we can help. We have a team experienced in a wide range of daily consumables as well as items that may be a one-off purchase. We have access to many suppliers, to make sure you are getting the best prices for all your supplies! How difficult can buying be, anyway? Milk is milk, and paper is paper isn’t it? Nope! All products have different variations. We will never offer a product that is lower quality that you are used to but, we can offer suggestions for alternatives that you may never have thought about. We have over 22 years’ experience in this industry and we are truly experts in getting the best prices for our members. You also have the added benefit of accessing our furniture and equipment department. Microwave broken? Need a fridge? We can source any item you need at great prices. I don’t want to lose control of my spending. Simple answer? You won’t! You are in complete control of your spending. We just facilitate getting best prices for you! You do the ordering, you control when deliveries are, you are given the choice of suppliers, in fact, the only difference you will notice is more money in your account! We also offer a service to monitor what you are spending on products, branded vs none branded and you can compare it month on month.  We can also deal with any service issues on your behalf. As a member, you get given an account manager who you can contact with any problems. Ok so how do I become a member?  Simple, email sales@collectivepurchasing.co.uk or call the office on 01329 236821 and we will tell you how we can help. Tagged why us? save money, buying consortium, save time, gain controlLeave a Comment on What is a buying consortium? Find out why Collective Purchasing is the right choice for your housekeeping needs and how we can reduce your costs by 15% to 30%. Collective Purchasing have access to and knowledge of hundreds of different housekeeping products through long term relationships with a high number of trusted suppliers. Can buy exceptional brands such as Diversey, Unilever, Ecolab and Proctor and Gamble at a much lower price. All these brands perform well but if you are buying outside of Collective Purchasing you will be paying too much! Will be able to capture your spending on One-Vision – our in-house developed software – meaning you can monitor the number of products purchased throughout the year. Have the ability to monitor your cost in use – The crucial calculation that measures your exact costs. With so many housekeeping products being purchased there are always savings to be made! How old are your Dispensers? – More than three years old and you likely need an upgrade. Our wide range not only does a great job but look good too. They are also free on loan subject to contract. Paper products – toilet rolls, kitchen roll and blue roll priced too high can mean you are literally flushing money down the drain. Paper is a high cost for homes, ensuring the right price without lowering quality can help make sure there is less wastage. Laundry – washing machines and dryers are being used hours upon hours in homes every day. There are so many different detergents and auto dosing equipment on the market that there is no reason why every laundry shouldn’t achieve a fresh clean wash, no matter what resident type. We are able to bring you this choice, which otherwise could be limited. Chemicals for multi surfaces, floor, kitchen, bathrooms and so on must have the ability to control infection. We are able to source the best products for your needs at the best price. Ask us for a free housekeeping review today. We will review your housekeeping costs and provide you with a detailed report recommending how you can improve your cleaning regime, reduce cost and manage your budget more effectively – because let’s be honest, we are all looking at ways to save money, and Collective Purchasing can help! If January is the month to detox, then February is the month to eat! Januaries highlights were Veganury and Dry January. 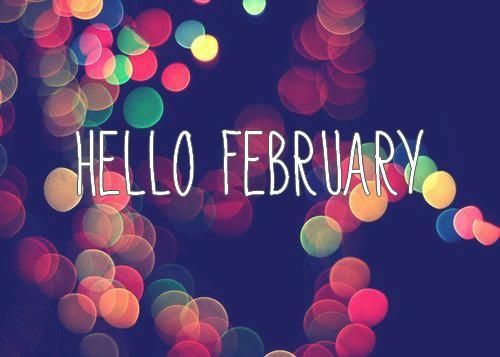 Whereas in February we have Pancake day, Valentine’s day, Chinese New Year and even British Yorkshire pudding day! Plenty of foodie days to get your teeth into! Whilst being healthy and not drinking is great, who can turn down a pancake (or three) or a romantic meal for two? Lucky for you we have the perfect ideas for you for this foodie month. 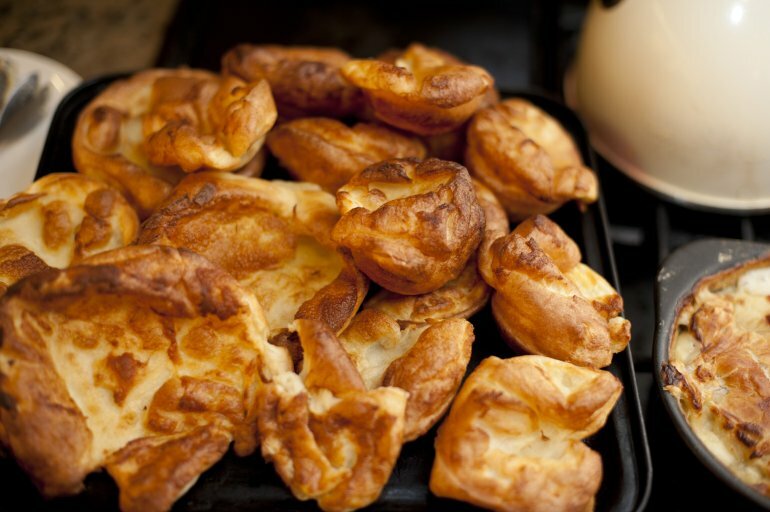 The first Sunday in February has been given the fond title of British Yorkshire Pudding Day. The Yorkshire pudding was traditionally made in a large tin, rather than the individual puddings that we are familiar with today. Often it was served before the main meal – which helped to fill hungry mouths so less meat needed to be served – particularly during hard times! The main ingredients for Yorkshire Pudding batter are, Eggs, Milk and Plain Flour; using lard instead of oil usually makes them tastier. They make a perfect accompaniment to everyone’s fave dish – The Sunday Roast! Want to celebrate Yorkshire pudding day, in a different way? Check out these deliciously different recipes. 1 – Never, ever, use self-raising flour or any kind of raising agent or baking powder; doing so will achieve flat, soggy puddings. 2 – Make sure the batter is of the right consistency, a little thicker than un-whipped double cream, and as smooth as possible. 3 – Make sure you have about 3mm (1/8 inch) of very hot fat in the bottom of the tin, as the fat begins to smoke, add the batter. 4 – Never, ever, open the oven door for the first 10 minutes of cooking time and after that, only enough to have a peek at what’s happening, if you really have to, the aim is to allow the puddings to rise and go brown without them collapsing. 5 – Enjoy them, with a thick gravy. The day of love! Valentines is Wednesday 14th February and what better way to someone’s heart, than through their mouths! Start the day with breakfast in bed, make some classy cocktails, cook a romantic meal for your loved one and get in the mood! Orrrrr skip the romanticness and just eat lots of yummy food and chocolate! The Chinese animal zodiac, is a repeating cycle of 12 years, with each year being represented by an animal and its reputed attributes. Traditionally these zodiac animals were used to date the years. In order, the 12 animals are Rat, Ox, Tiger, Rabbit, Dragon, Snake, Horse, Goat, Monkey, Rooster, Dog, Pig. Each year is associated with a zodiac animal. 2018 is the year of the Dog. Chinese New Year (CNY) or ‘Spring Festival’ is China’s most important festival and holiday. The next CNY falls on Friday, February 4th, 2018. CNY is celebrated by a quarter of the world! Spring Festival is a major holiday in mainland China, Hong Kong, Macau, and Taiwan, and in many of China’s neighbouring countries such as Singapore and South Korea. And it’s celebrated in the world’s many China towns. In China, traditions and celebrations vary greatly across the country. In the North, Chinese dumplings are the must-eat food on Chinese New Year’s Eve, but south of the Yangtze River most people eat spring rolls or sticky rice cake. The New Year’s Eve dinner is called ‘reunion dinner’, and is believed to be the most important meal of the year. Big families of several generations sit around round tables and enjoy the food and time together. Dishes with lucky meanings must be included in the dinner such as fish, dumplings, and spring rolls. Some Chinese worship their ancestors before the reunion dinner, to show that they are putting their ancestors first. Chinese people like eating, and they eat a lot during the Spring Festival. Food for the New Year emphasizes lucky symbolic meanings such as fish, which means ‘surplus’. These foods are served during the 16-day holiday season from the eve of CNY to the Lantern Festival. Click here for the top CNY desserts! Veganism is a way of living that seeks to remove all forms of cruelty to animals for food or any other purpose. From accessories and clothing to makeup and bathroom items, animal products and products tested on animals are found in more places than you might expect. However, nowadays there are affordable and easily-sourced alternatives to just about everything. With over 22,000 products and services registered with the Vegan Trademark alone, living a vegan lifestyle has never been easier. Preventing the exploitation of animals is not the only reason for choosing this lifestyle, but for many, it remains the key factor in their decision to go vegan and stay vegan. Avoiding animal products is one of the most obvious ways you can take a stand against animal cruelty and animal exploitation everywhere. More and more people are turning to a vegan diet for the health benefits: increased energy, younger looking skin and eternal youth are just some of the claims from enthusiastic plant eaters. Well, eternal youth might be a bit optimistic, but there are certainly many scientifically proven benefits to vegan living when compared to the average western diet. Just like veganism is the sustainable option when it comes to looking after our planet, plant-based living is also a more sustainable way of feeding the human family. A plant-based diet requires only one-third of the land needed to support a meat and dairy diet. Avoiding animal products is not just one of the simplest ways an individual can reduce the strain on food as well as other resources. Veganuary is a charity inspiring people to try vegan for January and throughout the rest of the year. 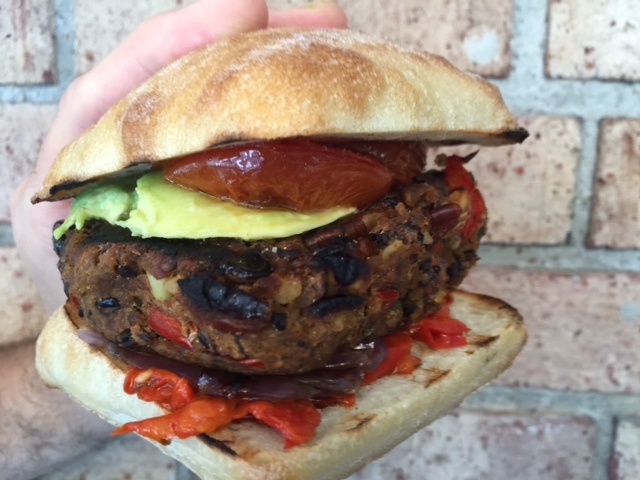 Why not try being vegan for a month whilst discovering a whole new world of taste and flavor. Before you do check out these myths…. The short answer – lots! 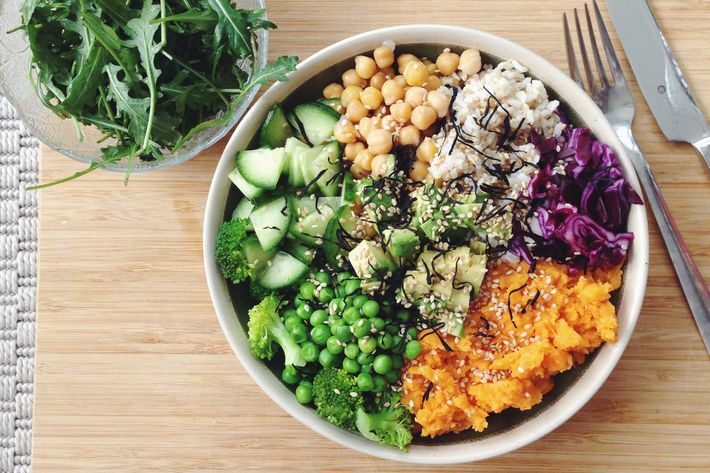 – a vegan diet is diverse and includes all kinds of fruits, vegetables, nuts, grains, seeds, beans and pulses – all of which can be prepared in endless combinations that will guarantee you’re never bored. From curry to cake, pasties to pizzas, all your favourite things can be suitable for a vegan diet if they’re made with plant-based ingredients. Check out these vegan recipes for ideas. We have chosen our two of our favourites from this website with the recipes below!! An easy to make burger bursting with flavour. Dice red onion and red pepper and minced garlic. Heat canola oil over medium heat then add garlic, onion, red pepper and corn and sauté for 3 minutes. Remove from heat and set aside. Place rinsed and dried black beans in a deep bowl. Using the back of a fork, mash about half the beans and leave half whole. Then add pumpkin, sautéed vegetable mixture, chipotle peppers, pecans, bread crumbs and cumin. Mix well until all ingredients are combined to desired consistency. Note, if the mixture is too dry you can add a little more pumpkin. Using hands, form into four large patties and refrigerate. Heat the grill to a medium-high heat. Brush grill with canola oil then place the burgers on the grill. Cook for approx. 3-5 minutes on each side. Remove and serve immediately on your favourite vegan roll. Top with avocado spread, freshly roasted tomato, caramelised onion or your favourite burger toppings. Enjoy! Other toppings include watercress, chopped slaw, organic pea shoots, serve with sweet potato fries! These vegan berry muffins are simply divine! They are sweet and full of fresh berries. Serves 12. Preheat oven to 170 degrees Celsius and prepare a cupcake tin with 12 medium cupcake wrappers. In a medium-sized bowl using electric beaters, beat coconut oil until smooth. Add date paste and beat for 2 minutes or until well combined. Then add vanilla beans and flax eggs and mix until smooth. Add flour and soy milk and fold into mixture. Pour batter into prepared cupcake cases. Want to find out more about the vegan lifestyle? Sign up to the free Vegan Pledge today. There are hundreds of thousands of vegans across the globe. 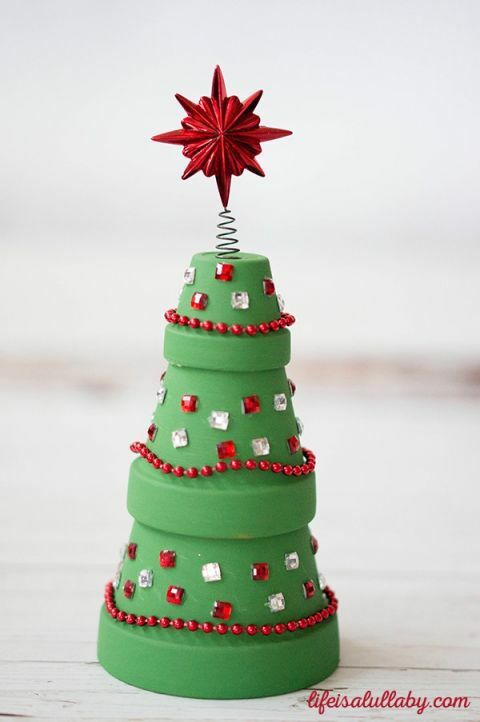 Tis the season to be jolly….. and creative! Christmas is a mere two weeks away. Its the time of the year when the decorations come out of the loft; you go shopping for the perfect gift and stress about how little time you have. How about this year, instead of going out into the hustle and bustle of the high street you create your own Christmas craft at home. You could make a unique decoration that you bring out every year or even a one of a kind gift for someone special – whatever you decide, your masterpiece will be a real showstopper! Not sure what to make? We have compiled the perfect list of ideas. Take the pressure out of Christmas and get crafty with Collective Purchasing! These ideas are great to do together, young or old. So bake (or buy!) some cookies, pop on some Christmas music or a festive film and get your creative juices flowing! These decorations are simple yet fun to make. Simply paint some lolly sticks and glue them into snowflake shapes and hey presto! Instant chic decor! 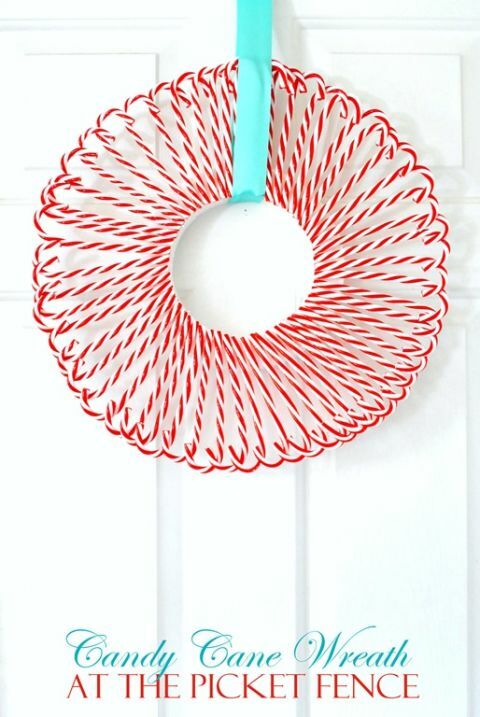 With a load of acrylic candy canes, make this mouth-watering wreath to hang on your door. Santa will know just how to find you! Clay pots make this Christmas tree decoration easy and fun, especially when topped with a bright red star. 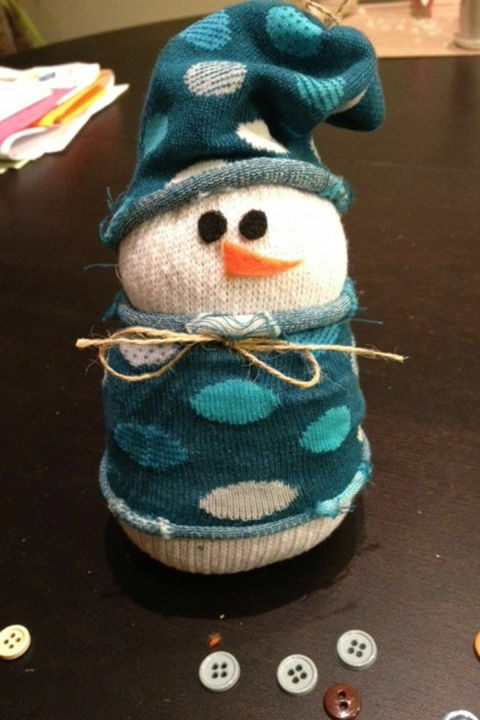 Rice, socks and rubber bands are the keys to creating this adorable winter friend. These cute jars will do all the talking. 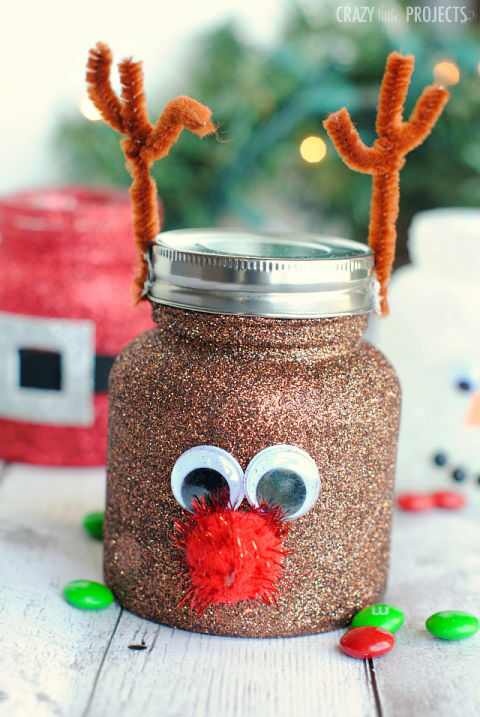 Start by coating Mason jars in glitter and then transform them into reindeers, snowmen and Santas. None of these takes your fancy? Move on into the kitchen and give the gift of food! We all know the way to peoples heart is through their stomachs!! 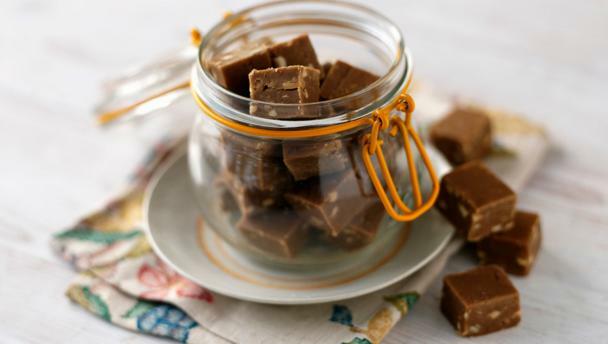 This homemade fudge recipe makes an easy sweet treat or a stunning edible gift. 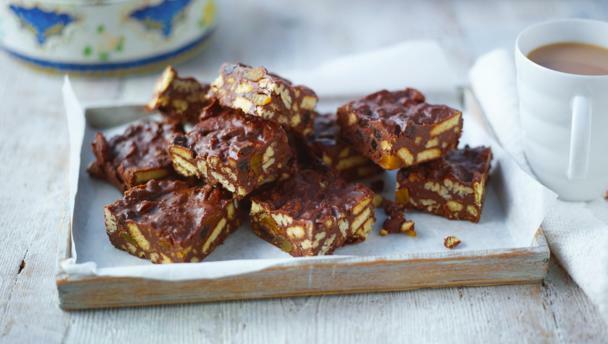 These easy, homemade version of the retro classic make delicious Christmas presents. A no-bake cake that’s perfect for making with children. You can also pick and mix the fillings to suit your taste. Make sure you send us photos of your creations. 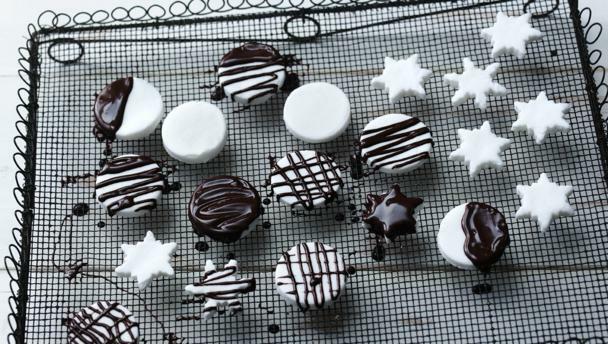 If you need any stock in order to create these festive delights don’t forget to give us a call! 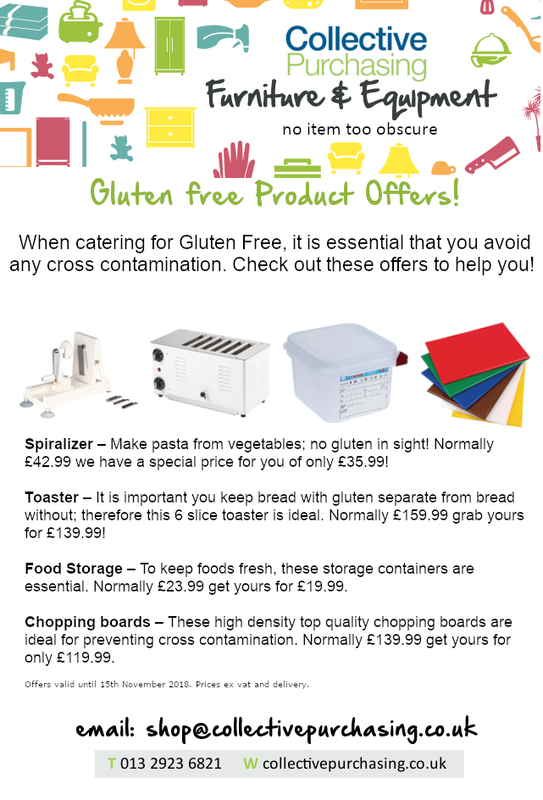 Since the summer we have been working on a gluten free month for collective purchasing. We spoke with many suppliers and brands who supply gluten free products and spoke with coeliac UK to gain some more insight into life without gluten. We were able to gain some great insight into how to cater for those with gluten allergies. We had over 430 people enter the competition, and we ended up with so many products, we were able to give a runner up prize. So two very lucky twitter followers won so amazing gluten free products! You want to be in with a chance of winning in the future? Make sure you give us a follow! Throughout the month of October all our products of the week were focused around gluten free, and whilst these are no longer available, keep an eye out for future product of the weeks on our twitter page! We just want to thank everyone that was involved; and we look forward to doing more awareness months in the future. 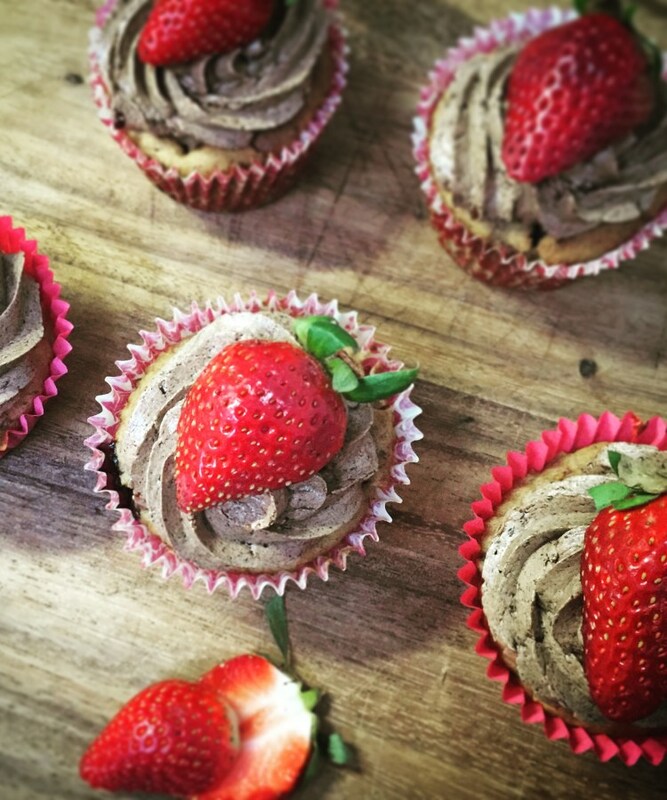 If you want to find out more about gluten free, check out this blog we wrote – you guessed it, in October! We have all heard of gluten-free diets but did you know 7% of Brits are gluten-free because of allergies or intolerances, compared with 8% who avoid gluten purely for health reasons! Coeliac, wheat allergy, gluten intolerance – what’s the difference? Coeliac disease is a serious illness in which the body’s immune system attacks itself when gluten is eaten. This causes damage to the lining of the gut and means that the body cannot properly absorb nutrients from food. Coeliac disease is not a food allergy or intolerance, it is an autoimmune disease. Non-coeliac gluten sensitivity is when symptoms similar to coeliac disease are experienced, but there are no associated antibodies and no damage to the lining of the gut. Common Foods That Contain Gluten include Pasta, Noodles, Bread and Pastries, Cereal & Granola and things like stuffing as well as some sauces. This is by no means an extensive list but is where gluten is commonly found. Now we know the basics, let’s look at what other, more surprising products contain gluten. Cereal – Try gluten-free oats or cereal alternatives. Crisps – although not all contain gluten, try rice cakes or prawn crackers as a safe alternative. Beer-check the labels, but you can buy gluten-free beer as an alternative. If not stick with wine! Check out some of these recipes from a blog we wrote last year! When preparing gluten-free foods, it is important to avoid cross-contact. Cross-contact occurs when foods or ingredients come into contact with gluten, generally through shared utensils or a shared cooking/storage environment. In order for food to be safe for someone with celiac disease, it must not come into contact with food containing gluten. Condiments such as butter, peanut butter, jam, mustard, and mayonnaise can become contaminated when utensils used on gluten-containing food are double-dipped. Wheat flour can stay airborne for many hours in a bakery (or at home) and contaminate exposed preparation surfaces and utensils or uncovered gluten-free products. Keep warm these winter months! Its officially autumn, the nights are drawing in and soon the heaters will be on! Eating healthy will keep you alert, energised and help protect you from illnesses in the winter months. Keeping a colourful and varied diet is extremely important – try to aim for 5 daily portions of fruit and vegetables. We have found some yummy winter warmer recipes for you to try! Lunch, dinner or supper; soups make a great meal. Team with some crusty bread and butter and you have the perfect winter warmer to fill up until the next meal! Click this link for some tasty and healthy soup ideas. Our fave is this creamy mushroom soup! Spoon out 4 tablespoons of mushrooms, and keep for later. Season to taste with sea salt and black pepper, then whiz with a stick blender until smooth. Toast the ciabatta on a hot griddle pan, then top with most of the reserved mushrooms and drizzle lightly with extra virgin olive oil. Although not always the most attractive dinner, a bowl of warm, hearty stew is always a welcome sight on a cold day. From a classic beef stew with dumplings to a vegetarian hotpot to a quick fish stew, click here to find a recipe for every occasion. Even though it’s harder to get motivated with the shorter days and cold weather, it is still important to stay active in the winter months. If you can, try to get out of the house for a breath of fresh air. If not there are plenty of exercises that can be done indoors from armchair exercises to yoga and even dancing. It is also really important to stay hydrated in the winter as we do in the summer, it is harder and as we get older it is harder to recognise the signs of being dehydrated. A great way to know you are keeping hydrated throughout the day is to fill a large jug with water in the morning and use that throughout the day, add lemon or cucumber to the water for extra flavour. Tagged winter warmer, keep warm, autum, porridge, stew, get moving, soup, winterLeave a Comment on Keep warm these winter months! Every year World Alzheimer’s Day takes place on 21 September, and is the focus of World Alzheimer’s Month in September. It’s an opportunity for organisations and individuals around the world to raise awareness, highlight issues faced by people affected by dementia and demonstrate how we can overcome them to help people live well with dementia. The word ‘dementia’ describes a set of symptoms that may include memory loss and difficulties with thinking, problem-solving or language. These changes are often small to start with; however they soon become severe enough to affect daily life. A sufferer may also experience changes in their mood or behaviour. Alzheimer’s disease is the most common cause of dementia, but not the only one. The specific symptoms that someone experiences will depend on the parts of the brain that are damaged and the disease that is causing the dementia. the quality of life for sufferers. We are all also dementia friends. If you need to find out more about dementia friends, click here! Here are a few ways we help you to help sufferers. We work with the likes of Care shop, Countywide and Blueleaf who are all specialised in the dementia field. Not only do they supply medical goods, but they supply items such as memory boxes and games. We featured one of the games packs in our product of the week last week. Prices start from £39.95! Equipment to help support residents with dementia is the perfect way to promote independence. We provide a wide range of tableware that does just this. 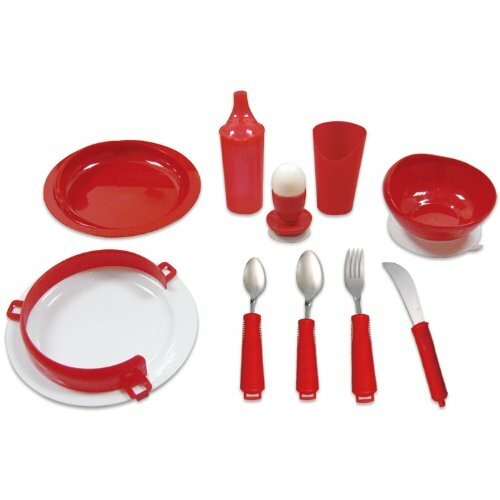 “Eating three times a day is something many of us take for granted but just think how difficult mealtimes can be for many people with disabilities; we believe the right tableware can be a relatively simple way to ensure your guests get the nutrition they need as independently and safely as possible”. –Bidvest Catering Equipment. For prices or further information, give us a call at the office. A great Cup of tea remains a national treasure and is the most consumed drink in the UK! We typically brew up 3 times a day; although one in four thirsty Britons will get through 5 cups or more! Whilst us Brits can all agree that we love tea, how we enjoy our tea is quite a different story. Some like it milky, some like it strong; Whilst some like it with sugar, some are sweet enough! Fancy trying some new Tetley teas? Check out this blog from 2016 where we reviewed loads of teas, from fruit to decaf! We said it then, we will say it again – Tetley, we love you!! !